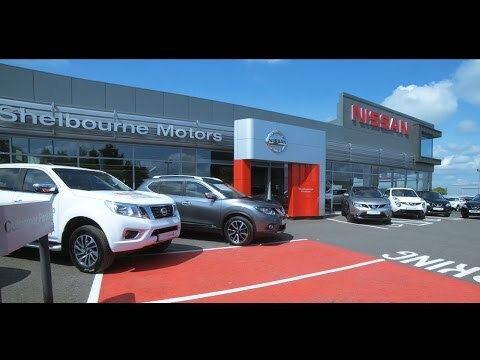 Shelbourne Motors in Portadown now boasts one of the region’s most cutting edge car sales environments, with technology and creature comforts combined to enhance the overall customer experience. The concept, which was developed in the UK for roll-out globally, was devised to do away with the traditional sales-focussed showroom and create a more experiential environment reflecting Nissan’s core principals of innovation and excitement. It centres around a comfortable and stylish area where customers can enjoy a freshly brewed coffee, surf the web and browse product information at their leisure during their visit to the dealership. Richard Ward, Director at Shelbourne Motors said: “We’re absolutely thrilled with the showroom’s new look and think our customers are going to love it. “It’s really stylish and feels much more modern and customers will now be able to spend time in the dealership looking at the cars and experiencing the Nissan brand at their leisure. For more details about the Nissan range, to book a test drive or to see the new-look for themselves, and enjoy a coffee, customers can visit the Tandragee Road showroom now.